Supadog Adult Beef Dog Food is full of moist beefy chunks which are naturally rich in protein for excellent muscle growth and development. Also, the kibbles have been basted in meat juice for an extra lip-licking deliciousness! Wheat, Beef Meal (min 14%), Wheat Feed, Chicken Meal, Poultry Fat, Peas, Salt, Calcium Carbonate, Monocalcium Phosphate, Preservative Potassium Sorbate, Coloured with Sunset Yellow, Tartrazine, Ponceau 4R, Iron Oxide, Titanium Dioxide, Patent Blue V.
This information is provided as a guide only. Please refer to the product packaging for full details. When feeding for the first time introduce gradually over 4 days. Please always ensure that fresh drinking water is available. 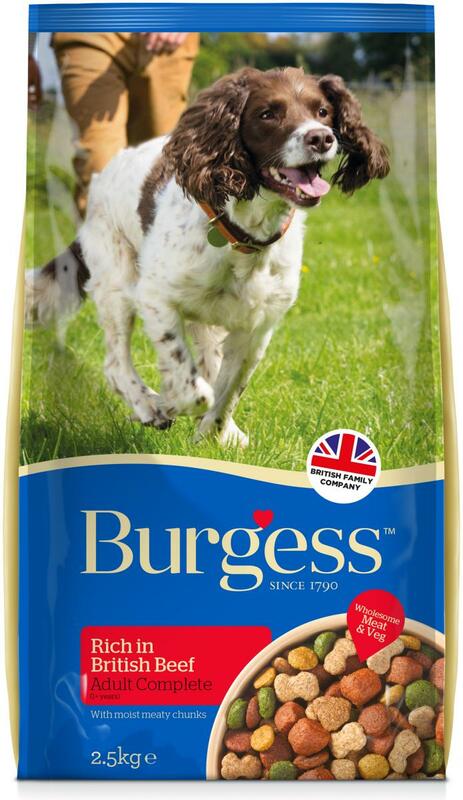 There are currently no questions for Burgess Supadog Adult Beef Dog Food - be the first to ask one!